21st Commonwealth Games is to commence from today in Australia with 71 nationals participating and competing for medals, thus celebrating sports. India has sent the best contenders to have maximum account of golds in our court. Starting with shooting, Heena Sindhu is to represent India in the sport. She hails from Punjab and already has bagged . d three gold medals at the Commonwealth Championships few months back. She will be competing in the women's 25m pistol and 10m air pistol competitions. 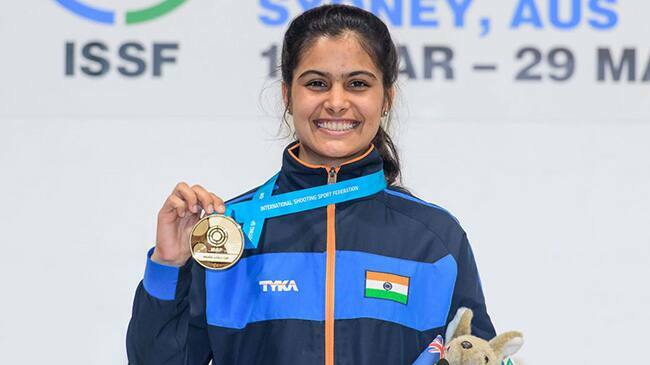 Manu Bhaker will be playing alongside Heena in the 10m air pistol event. The 16-year-old has a record of clinching two golds her maiden senior World Cup just weeks ago. Glamorous sports women of India! Best moments from sporting events in 2016!